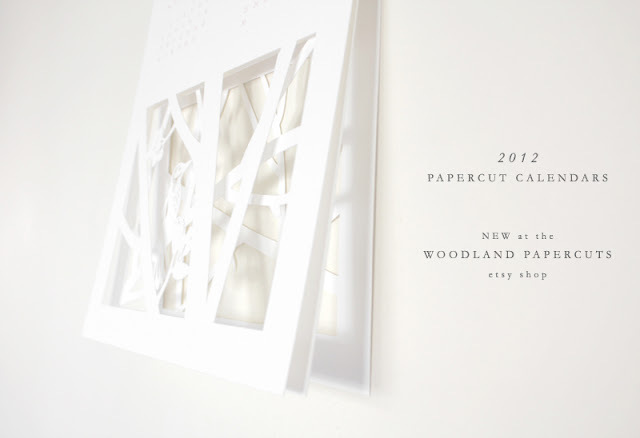 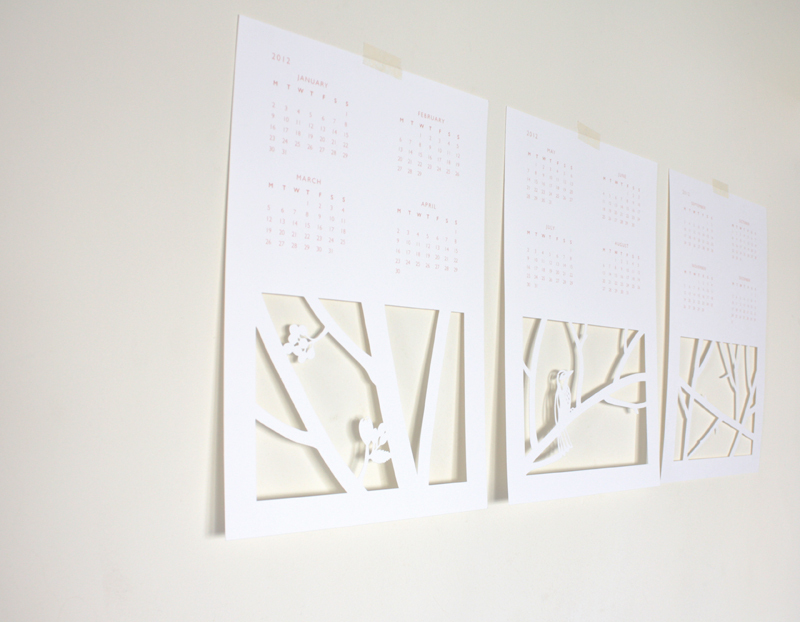 I realized I'd never posted more shots of my handmade calendars for 2012! How usual of me. 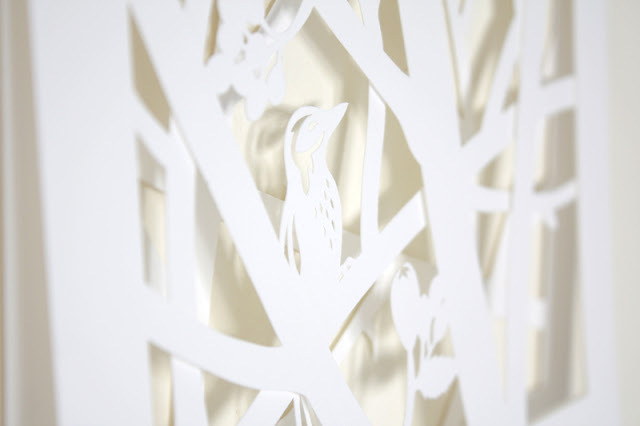 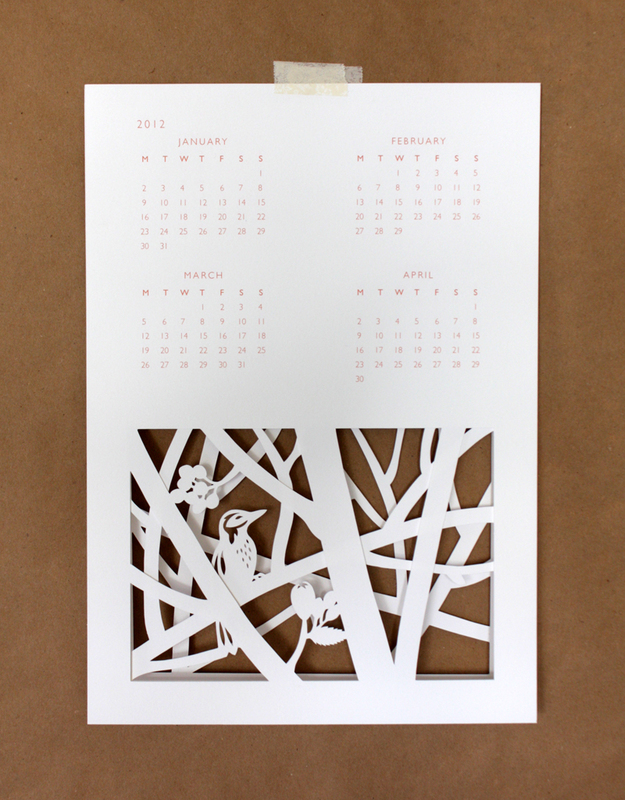 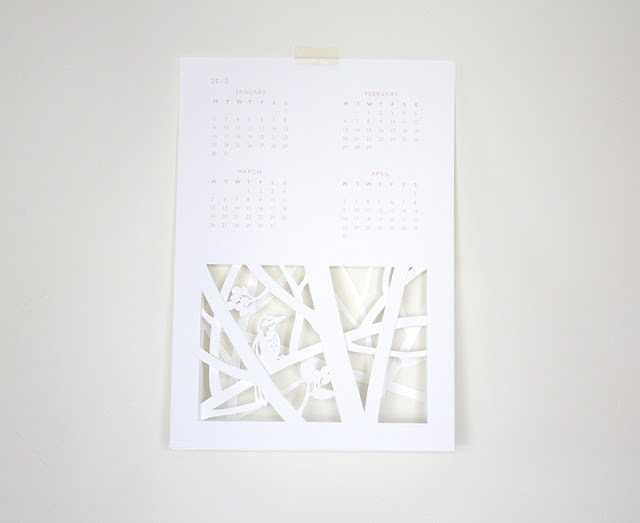 So I'm rectifying the situation: The pictures above are all of my bird calendar - 3 layers of hand-cut papercuts. Each page has 4 months. 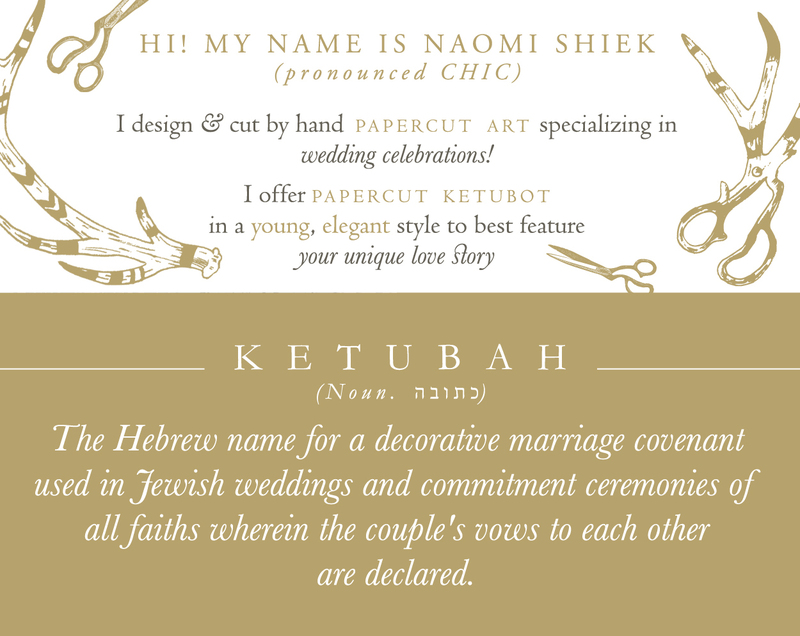 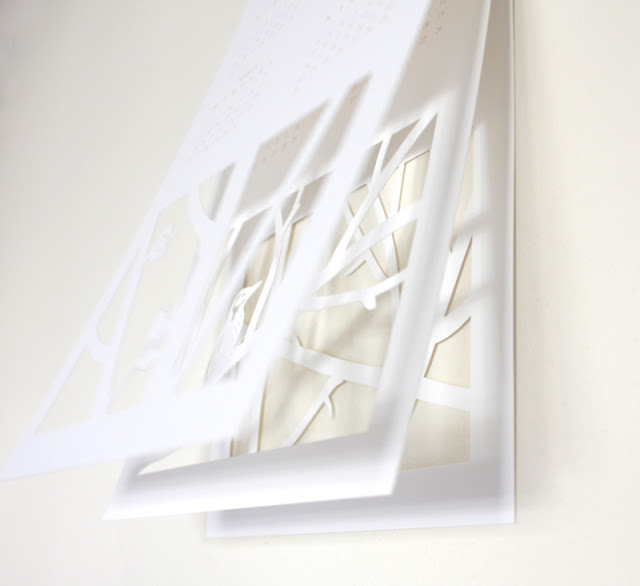 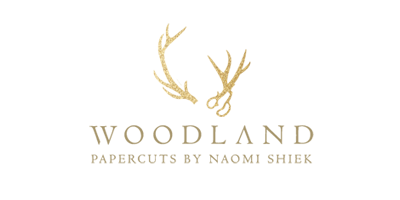 At the end of the year you can remove the top half of the pages and frame your original papercut illustration! I love this one because it tells a story as the months go by, the branches and the bird revealed and moved back again, as you leaf through it.